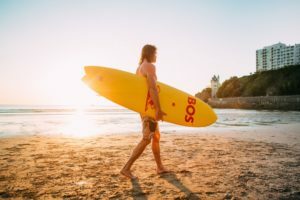 Long Beach in Kommetjie will host the penultimate South African Surf Tour event this weekend when the third edition of the BOS Cape Crown presented by Sea Harvest takes place at this popular Western Cape surf spot. 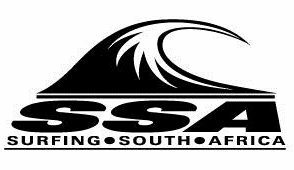 Over 60 local and Eastern Cape surfers will compete for a share of the prizemoney and 2A SAST ratings points in the U12, U14 and U16 Boys and Girls Divisions. The top seed in the U16 Boys division is Kommetjie local York Van Jaarsveldt with Aya Gericke of Wilderness seeded second ahead of Sam Bennie of Vredehoek and Reilly Mare of East London. 2018 SA Junior Team member, Ceara Knight, who returned from the ISA World Championships in the USA on Wednesday is the top seed in the U16 Girls Division. Fellow Kommetjie surfer Leila Steytler is seeded second, Caroline Brown of Hout Bay is the third seed and another Kommetjie girl, Summer Sutton is the fourth seed. Sea Harvest SA Junior Championships Surfer of the Contest Daniel Emslie of East London is top seed in the U14 Boys group with Christian Venter of Melkbosstrand the second seed and Kyra Bennie of Vredehoek seeded third. Only four U14 Girls and three U12 Girls have entered the event so organisers have decided to combine these two divisions this weekend. Top U14 Girl is SA Champion Aimee du Preez of East London with local girl Olivia Winter the second U14 seed while SA U12 Champion Sarah Scott of Kommetjie and Anastasia Venter of Melkbosstrand are the top two U12 Girls. Joel Fowles of East London heads up the U12 Boys Division with Kommetjie local Levi Kolnik seeded second and Rory Dace of Cape St Francis slotting in as third seed. Included in the programme of events will be the BOS Watermelon Dash, a relay race on huge watermelon inflatables which will see teams competing against each other for prizes. BOS launches its new Watermelon BOS drink during the event and the Watermelon Dash is being held to celebrate the addition to the already popular range. 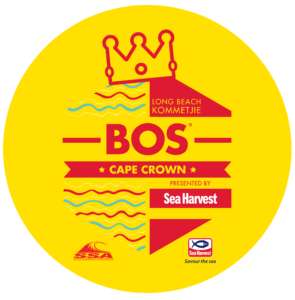 The BOS Cape Crown will get under way at around 8am at Long Beach tomorrow and will end at the same venue on Sunday.